1/ What is Fiat Wallet? Fiat wallet (VND/NGN wallet) at Remitano is used to stored your local currencies in the website, it will help boost your trading experience. The trade will be automatically completely when you have sufficient local currencies in the website and you also don't need to wait for seller to check his bank statement. 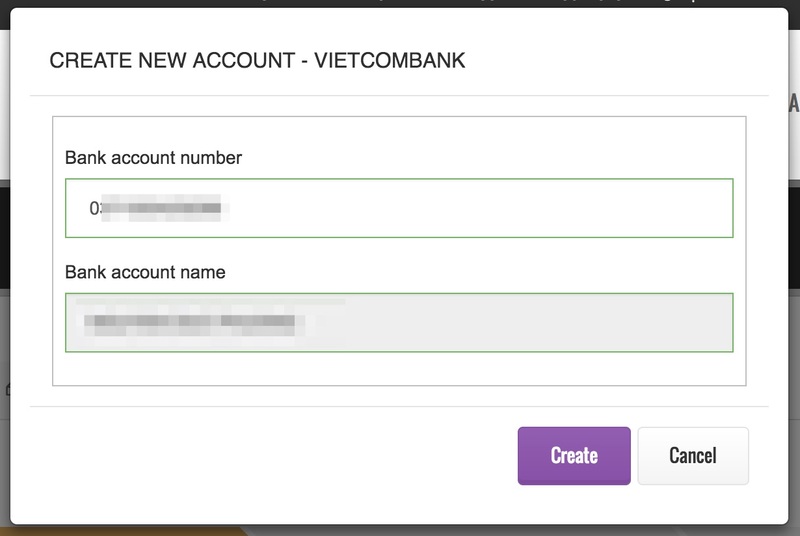 At this moment, we are supporting Fiat Wallet for Vietnam (VND wallet) and Nigeria market (NGN wallet). You need to make sure to transfer with exact amount and description in your bank transaction description/remarks. Our banking system will automatically check the bank statement and credit to your Fiat Wallet once we receive the payment. After an hour, if your transfer is not marked as Processed (as image), please contact our support to check. Once the deposit is processed, the balance in the top left bar will be updated accordingly. 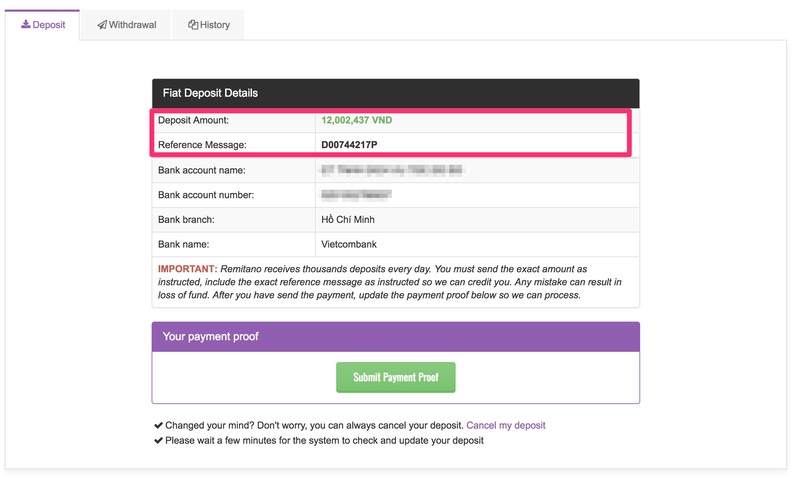 If your bank balance is insufficient or you want to change the amount, you can "Cancel the deposit" and create another deposit request. 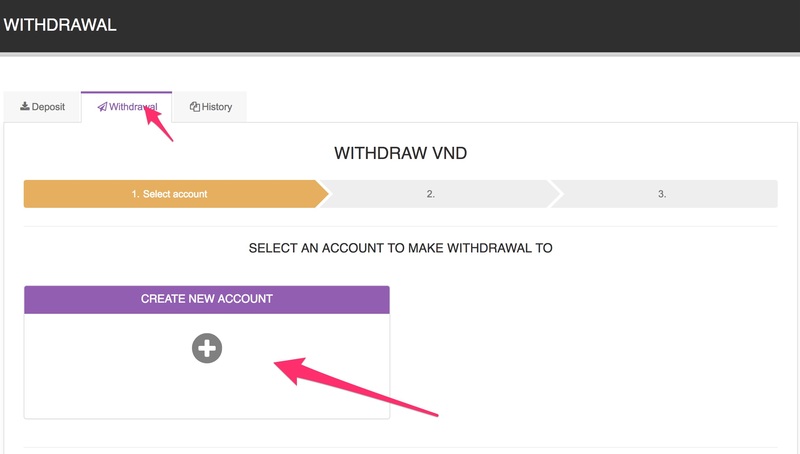 Input the amount and click "Confirm"
Once the withdrawal is submitted, you can check the status of the withdrawal in the history of withdrawal. Once the status is Processed, you can check your bank statement in your internet banking.